Avenue Q reaches another milestone. The Tony Award winning musical AVENUE Q -- which played a triumphant 6-year run on Broadway before moving to New World Stages over two years ago -- will celebrate its 1000th performance at New World Stages (340 W. 50 St.) on Wednesday, March 14. On that date, AVENUE Q will reach a combined total number of 3, 534 performances -- 2,534 on Broadway and 1000 at New World Stages -- placing the show in the company of such beloved, long-running musicals from the past as 42ND STREET (3,486), GREASE (3,388) and FIDDLER ON THE ROOF (3,242). AVENUE Q is the hilarious and enormously popular Tony Award winning musical about a group of 20-something -- people and puppets alike -- who move to New York with big dreams and tiny bank accounts. The current cast of AVENUE Q is Lexy Fridell, Nicholas Kohn, Veronica J. Kuehn, Rob Morrison, Hazel Anne Raymundo, Jeffrey David Sears and Haneefah Wood. AVENUE Q has music and lyrics by Robert Lopez and Jeff Marx, book by Jeff Whitty, and is directed by Jason Moore. Based on an original concept by Robert Lopez and Jeff Marx, with puppets conceived and designed by Rick Lyon, AVENUE Q has musical supervision by Stephen Oremus, choreography by Ken Roberson, scenic design by Anna Louizos, costume design by Mirena Rada, lighting design by Howell Binkley, and sound design by Acme Sound Partners. 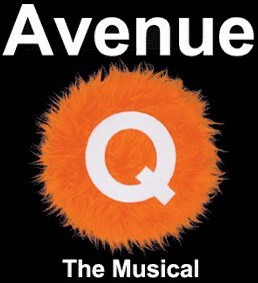 Winner of three 2004 Tony Awards for Best Musical, Best Score (Messrs. Lopez and Marx) and Best Book of a Musical (Mr. Whitty), AVENUE Q became an overnight sensation on Broadway in July 2003, having transferred to the John Golden Theatre from a wildly successful, extended and sold-out engagement Off-Broadway produced by Vineyard Theatre and The New Group. At the show's final performance on Broadway in September 2009, the producers surprised and delighted the AVENUE Q cast and the audience with the news that AVENUE Q would resume performances in October 2009 at New World Stages. The musical has continued to play to sold-out, enthusiastic audiences ever since. Recent celebrity visitors to AVENUE Q include Sugarland's Jennifer Nettles, recording sensation Sara Bareilles, who join a long list of stars who count themselves fans of Q: The Clintons -- Bill, Hillary and Chelseas, Diana Ross, Tom Hanks, Barbara Walters, Kelly Clarkson, Zac Ephron, Carol Burnett, Charlton Heston, Jennifer Aniston, Sean Penn, Hilary Swank and Rupert Murdoch. At the 499-seat theatre at New World Stages, AVENUE Q performs Mondays, Wednesdays, Thursdays and Fridays at 8:00pm, Saturdays at 2:30 pm and 8:00pm and Sundays at 3:00pm and 7:30 pm. Tickets range in price from $92.50 to $72.50 and are available by calling Tele Charge 212-239-6200 or www.telecharge.com A limited number of rush tickets for $26.50 are available at the box office for each performance. Premium seats are available for $126.50.